Which Divergent Faction Do u Belong In? Which hairstyle looks better on Tris? Did u already see Insurgent? de keuze van de fan: HUNGER GAMES! whats your favoriete faction?and why? Which Divergent character is u favourite: Tori, Caleb, of Uriah? why do u think caleb really cared about his sister? "Move over, Katniss. Tris is volgende in line." Anyone else sincerely interested in creating a small-scale Candor community? of even multi-faction communities. 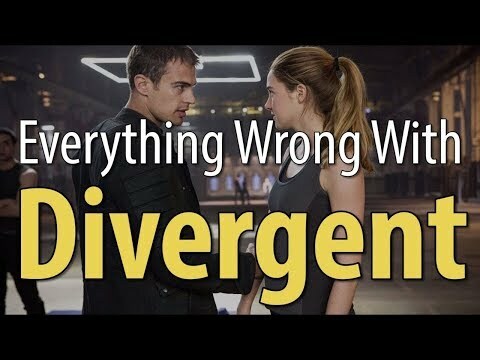 I know it didn't work for them, and I'm not a crazy super fan of anything, but after watching & reading the Divergent series I couldn't help but start seriously imagining how to create a real-world version. All the things I'd do differently and the things I'd keep the same. Preheat oven to 350 degrees and spray deep dish pie plate with cooking spray. I know this is late. I wanted to post this the dag the trailer came out, but my birthday was on Saturday so I was busy all weekend. And I've been busy with school finals this week. Now it's Friday so I can finally do this thing! We are all entitled to our own opinions so here is mine if u agree with me great. If u don't that's not my problem. Just if u commentaar and u don't agree don't be mean. I have seen really mean commentaren on here and it's a shame. First of all the hunger games are fimed and they are aired on television. Divergent is not filmed of aired on television. Allegiant. I honestly do not know where to start on this book. Might as well start from the very beginning. There is a lot going around that Divergent is a rip off of The Hunger Games. I don't agree. I like them both equally but I don't see them being the same. there are notable differences between the two. The kids in Divergent aren't fighting in a game of life of death on television. Yes, they both take place in dystopian worlds but their dystopian worlds are different than eachother. in Katniss's it's poverty, with Tris, she has it a little better than Katniss. Bookish: How did u decide on a YA novel adaptation for your volgende project? Evan Daugherty: I was looking at a lot of things – a lot of comic books–and reading a lot of books, and in the process of that…I read five of these YA books. I read “Pure” door Julianna Baggott, “Legend” [by Marie Lu], “Delirium” [by Lauren Oliver] and “This Dark Endeavor” [by Kenneth Oppel]–it’s kind of a cool, young adult version of the “Frankenstein” story. "I didn’t sign up to be in a televisie show." artikel door door Molly Freeman for ScreenRant, 8 Sept 2016.
a comment was made to the article: No Divergent compared to the hunger games it is NOT the same at all! an answer was added to this question: whats your fear? a comment was made to the poll: with which character would u like to spend an entire day? Which Divergent Faction Do u Actually Belong In?